While we had perfect weather last week in Florida, the meals were less so. Not that the food was bad, mind you. It's that with one exception every meal out took well over an hour. Lots of people there are in no particular hurry - not just retirees - and it seems to manifest everywhere from the roadways to sidewalks. You know you're in Florida when you go out to eat for breakfast and emerge from the restaurant at dinner time. Thanks for indulging me while I ranted a bit there. Now, back to business. Tuesday was National Pretzel Day, and to commemorate that holiday (does Hallmark make cards for that? ), I wrote about the gluten-free soft pretzels from Tonya's Gluten Free Kitchen. 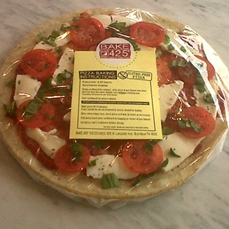 New to the Main Line is Bryn Mawr's Bake 425 (1012 W. Lancaster Ave, 610-525-6425), a new organic take-and-bake pizza shop from the founders of the Peace A Pizza chain that offers gluten-free pizza. The in-store preparation for those pies is handled in a separate area to avoid cross-contamination. Reader Allie P. let me know that Cajun restaurant Bourbon Blue in Philadelphia's Manayunk section (2 Rector St., 215-508-3360) has a gluten-free menu. Reader Dan passed along info on two suburban restaurants that accommodate gluten-free diners. First is The BRGR Joint - across the street from Bake 425, actually - in Bryn Mawr (1011 W. Lancaster Ave., 484-380-3465). The bunless burgers and fries are gluten free. In Plymouth Meeting, Plaza Azteca (351 Plymouth Rd., 610-940-3906) can prepare and modify menu items accordingly. Havertown's The Pig and Whistle Deli (1304 Edgewood Rd., 610-853-8399) can prepare gluten-free meals with advance notice, according to reader Jennifer K. The deli also has gluten-free rolls on occasion. Vader's in Southampton appears to have closed, as the phone number has been disconnected and the website is gone. The restaurant offered a gluten-free menu. Post's "new and improved" Marshmallow Pebbles cereal, which now has no gluten-containing ingredients, is now on supermarket shelves. My son, who is not a cereal junkie (unlike his old man), scarfed down three bowls in the first 24 hours of my bringing home a box. No doubt the sugar rush had something to do with that, but I was thrilled nonetheless. The older, wheat-laden version is still around, so be sure to check the packaging before purchasing. 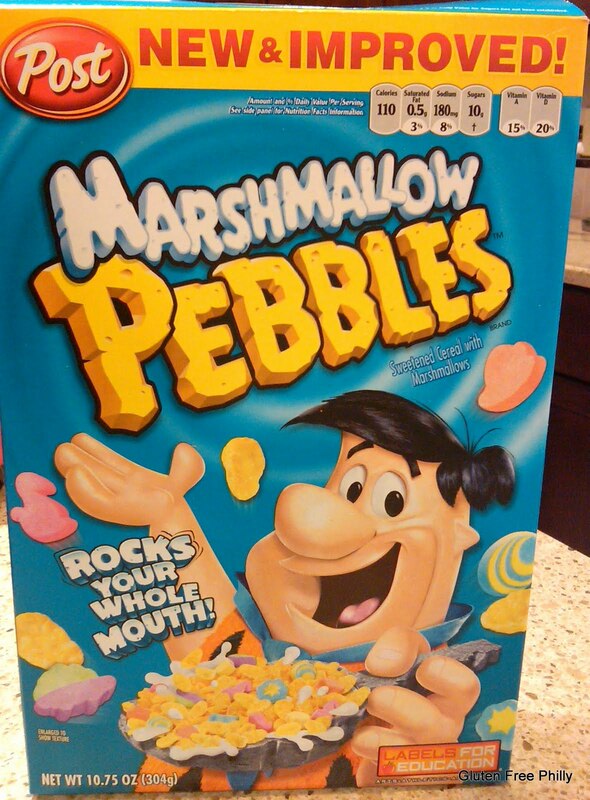 This is the first gluten-free cereal containing marshmallows on the market since General Mills discontinued the hard-to-find Kaboom last year. Come this summer, gluten-free shortbread cookies from Amy's Kitchen will be available. The cookies are made with organic almond flour and will come in Classic, Almond and Chocolate Chip flavors. Thanks to Tiffany at Celiac-Disease.com for the heads-up. Readers Ron G. and Toni B. mentioned at the Gluten Free Philly Facebook page that they loved the new cookies from Moondance Desserts. The new sweets come in Mexican Wedding, Chocolate Crinkle and Chocolate Chip Cookie Bar varieties and can be found at Whole Foods. Also at Whole Foods are the new classic-style (white) and whole-grain hamburger buns and classic hot dog rolls from Udi's. My son tried the classic buns and really liked them. Thanks to reader Donna D., who mentioned this on Facebook. 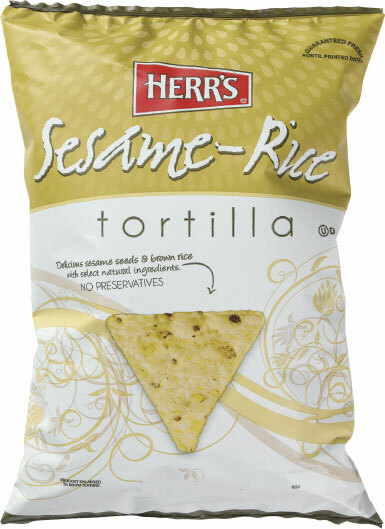 Local snack-food favorite Herr's has introduced Sesame-Rice Tortilla Chips. 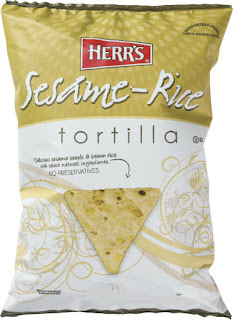 The gluten-free chips are made with crunchy sesame seeds and brown rice. On Wednesday, May 4, The Celiac Center at Paoli Hospital presents "Exploring the World of Gluten Intolerance: Celiac Disease and Beyond." Join in person or online for the presentation and interactive Q&A with Stefano Guandalini, M.D., Chief of Gastroenterology and founder and Medical Director of the Celiac Disease Center, University of Chicago Comer Children's Hospital. The one-hour event will begin at 2 p.m. at Paoli Hospital (255 W. Lancaster Ave.). For in-person attendance, call 1-866-CALL-MLH; online participants can register here. Bye Bye, Gluti!, the U.S. distributor of Italy's GlutenOut products, will hosting a free sampling at the Princeton Library (65 Witherspoon St., 609-924-9529) on Tuesday, May 10 beginning at noon. Following that event, you can meet chef Nicolo Angileri of GlutenOut and enjoy a four-course dinner accompanied by regional Italian wines at Mediterra (29 Hulfish St., 609-252-9680), beginning at 6:30 p.m. The cost of the dinner (excluding tax and gratuity) is $65 per person, and reservations are required. A national beer producer will be conducting focus groups in the Philadelphia area on the subject of gluten-free beer. The company is seeking male participants, ages 25-45, for a 75-minute session on May 16. The stipend is $100. For more information email Nancy Ginter at the National Foundation for Celiac Awareness with your name, age and phone number.